→What Are the Signs of Liver Damage? What Are the Signs of Liver Damage? Liver damage is widespread among people all over the world today and knowing its symptoms, along with early warning signs, can make a huge difference to your health and wellness. The liver is the largest organ inside your body, but it does not feel pain. 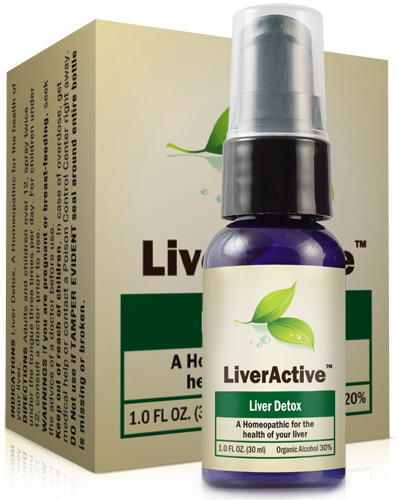 Consequently, many people have developed fairly advanced liver damage without experiencing any symptoms whatsoever. This is unfortunate, because your liver performs a variety of functions that are critical to keeping you in good health. It purifies harmful toxins, aids in the digestive process and converts the food you eat into energy. So, if your liver isn’t healthy, your general health will suffer, too. Since liver damage and disease can have multiple causes, it is a good idea to familiarize yourself with the signs and symptoms so that you will recognize any red flags that might signal developing or existing problems. These symptoms of liver disease or damage may be attributed to several possible causes. Liver damage or liver disease can be caused from a variety of causes. In fact, there are over 100 different diseases of the liver. Hepatitis A. Causes swelling of the liver and poor function. It is caused by the HAV virus. Hepatitis B. Also causes swelling of the liver and can progress to scarring of the liver and/or liver cancer. This one is caused by the HBV virus. Hepatitis C. Same symptoms and possible long term effects as Hepatitis B. It is caused by the HCV virus. There is currently no vaccine. NASH, or Nonalcoholic Steatohepatitis. NASH is basically a form of Fatty Liver Disease that can lead to a swollen liver and associated damage. It is unrelated to alcohol. ALD, or Alcoholic Liver Disease. This liver disease is a direct result of consuming too much alcohol and can cause cirrhosis and ultimately, death. Early warning signs of liver damage include nausea, loss of appetite, unusual fatigue and diarrhea. If you believe you may have liver damage, take heart – the liver is able to regenerate itself. In fact, it is the only organ in your body that can regenerate and completely repair damage. However, these regenerative abilities only go so far before it is overwhelmed. If you have liver damage, don’t start making out your will just yet. It isn’t a death sentence. There are things you can do to reverse the damage and allow your liver to repair itself and regenerate to become healthy once again. If you have hepatitis, there are drugs and antivirals to treat it – during treatment, you must exercise lightly, drink lots of water, eat fruit and eat light, low-fat meals to give your liver a bit of a rest. If you drink alcohol – stop. Stop now. If you are overweight, shed those extra pounds. Avoid taking such OTC pain relievers as Tylenol, known to cause liver damage if taken in excess. Stay physically fit and active. Try liver-healthy supplements to boost your overall health. Liver damage affects approximately 35% of the U.S. population, so if you have it, you are not alone. 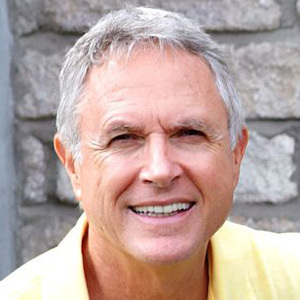 Knowing how to recognize the signs and symptoms of liver damage and then taking action with lifestyle changes can reverse it and give your liver a chance to regenerate and repair itself. If you have liver damage such as fatty liver disease, turn things around and get you – and your liver – back on the path to bountiful good health! I get a dull ache in my ribs on the right hand side of my body. Is this possibly a sign of a fatty liver? What does a raised GGT level on its own mean? All my other liver markers are ok.
Hello there! Please note that I am *not* a physician. However, it is my understanding (having had batteries of tests in the past) that a raised GGT helps rule out bone disease as a cause of various negative liver-related tests. However, it could (it doesn’t have to…don’t panic) indicate certain cardiac issues (again, this per my physician). Since I had received the NAFLD diagnosis, however, I let it go at that, I confess I didn’t look further into extenuating tests and focused on healing the NAFLD, while continuing with regular checkups and regular testing of my overall health. You should ask your doctor whether she feels any follow-up, lifestyle changes or just watchful waiting are indicated. My mother(47 years ) is suffering due to fat deposition on the liver….as the doctor says so…..but her bowel also donot get cleared and thus suffering from constipation too….she is very tensed….it is about to be two weeks very soon….what should I do????? How do they stage nafld? Is it mild-1 moderate-2 and severe-3? I’ve been diagnosed with severely enlarged liver that is also fatty. I do not drink ( never have) or done any hard drugs in my life. I have only ever er taken what doctors have prescribed and never in excess. I am what a doctor would say is obese. I knew I had mild fatty liver a couple of years ago but apparently in the last year and a half it has increased 5 cm!!!!! I have many symptoms of liver disease as well. Itchy prickly skin, abdominal pain, nausea and I swear the corners of my eyes look a little yellow. All of my enzyme tests bilirubin etc came back normal ( beginning of this month) had a ct scan that discovered and an ultrasound and blood work for hep.. Nothing…… I’ve been referred to a specialist and waiting on that appointment… I’m afraid to take anything for pain or even my gerd meds. Kinda afraid I’m gonna die. When that the doctors don’t seem to be super worried and rushing things??? Do they wait till you walk into emerge bright yellow and curled over in agony before they say… Yep! There is a big problem here???? They were trying to tell me that my skin issues couldn’t be related to liver stuff and the CT report said no cause seen for abdominal pain…. Understandably I am really upset and stressed out right now. I guess if I’m stage 3 ( severe) I’m in some serious trouble? No coming back from it at this point right? Here is some info on grades of NAFLD and predictors. I was diagnosed with a fatty liver this year. Since the beginning of 2017 I stopped eating sugar and processed foods. I eat whole foods and walk as much as I can. I have just entered my 4th month of these lifestyle changes and wonder how long it takes to reverse a fatty liver and feel better? Susan, this varies greatly from person to person. However, if you only had Grade 1 NAFLD, healing should have begun fairly quickly, as you were lessening your liver’s workload. Have you asked your doctor for follow-up tests to assess? My dr . said i have an enlarged fatty liver and need to see a specialist . i have pain in rite belly back pain and dark stools but no lossof appetite or yellow eyes . can i turn this aroind and save my liver? Kay anything is possible! the liver is an organ that has regenerative properties. It just needs the chance to kick in! Report ANY stomach pain to your doctor. Do your Labs for Hepatitis .A/ Hep. B / Hep. C / ASMA(Anti smooth muscle) and other Auto-immune disorder related tests. Your GI shoudl order this for you, once the initial Ultrasound and Liver profile values are Heigher. I itch all over my boby,i’m talking bad.I got blood work. And I it was fatty liver. And I constantly itch.do I need treatment from a doctor now? I wouldn’t give up until I got some answers from my doctor. I haven’t heard of a connection between itching and NAFLD, specifically. It can be one sign of ill liver health, yes. Keep seeking answers. Don’t just let this go. OTOH it may not be related to the liver at all. You could have a food intolerance, some sort of allergy or any one of a number of possibilities. At stage 1 there is definitely hope for turning your condition around. What steps have you taken so far? Very sorry for the prolonged reply i jus been seen your reply sir .i have been following a diet of fat free food stuffs for the last 2 months when i searched on google about fat sparing areas in liver it revealed that sometimes sparing areas can become psuedo tumour i would like to know fat sparing areas in liver is a grave issue or not..my doc told there was nothing to worry only have to follow raw dietary.unfortunately google is trembling me these days..
Fatty Liver is 100% reversible, before it develops fibrosis, even heart heals upto some level form fibrosis until it reaches cirrhosis, which is completely irreversible. Check you LFTs if they are ok, get an ultrasound done, Fibroscan is also a new technique to detect fibrosis. Yes, it can be reversible. I hesitate to say 100% to anything. There can be issues extenuating from the NAFLD condition (or causing it, or just running concurrently). Thanks for your post! I’m 22 and just diagnosed with NAFLD after 6 months of wondering what’s wrong with me. It started with intestinal pain and trips in and out of the ER. Now it’s fatigue, headaches, no appetite, nausea, and a disconnected feeling from life/my brain/everything. No one suspected liver disease because I am 5’6 and 80 pounds. Extremely underweight..can’t gain weight. All of the advice for this disease is to lose weight. I can eat 6000 calories a day and not gain weight. I feel sick all of the time and my intestinal pain/discomfort is unbearable. I cannot work. Please, help?! It sounds as if you may have issues in addition to NAFLD, particularly because of your mention of inability to gain weight. I wouldn’t stop at just the NAFLD DX. Have you told your doctor you’re still suffering symptoms? Push for more testing…that’s my advice. You need to get to the bottom of this. Is these two cases of my sisters related to hearidity of my mother ? I am not a physician, but I will say that these symptoms do NOT sound like NAFLD, unless NAFLD is present in addition to another issue or other issues. Please have her see a doctor! She needs this looked into ASAP. I need help… I found out that i have an enlarged liver, but I’ve also have had a lot of problems with my colon at the same time… I can’t go barely at all but like once a week if that and when i finally go my stomach hurts bad…. Then my right side stays swollen a lot what do i do??? Sarah, you really need to see your doctor again. What did she tell you when she informed you of your enlarged liver? Did she give you a program to follow? A meds protocol? Did you tell her about your constipation issues? Don’t put this off, call your doctor. There is a sugar called lactulose (prescription only) that is made specifically to treat this problem when it occurs in those with Fatty Liver Disease. If Fatty Liver Disease is what you have, it will make your bowels move unless there is is some other problem. Unlike stool softeners which can only soften stools as they are being formed, lactulose can break down those stools that have been stalled in your system for two or three weeks. Don’t take if you you can’t stay home for 18-24 hours for each dose that you take, because it is very effective and there will be lots of gas and rumbling and your bowels will move, often quite soon. You will be concerned to be too far from the toilet until the fermentation subsides. It is great stuff in my opinion. May I ask what you found out from your doctor? What were the results of your test? Wishing you good health. NAFLD (non-alcoholic fatty liver disease) can have a variety of causes. The most common (but not only) reason for NAFLD is excess fat in general, which contributes to fat buildup in the liver. NAFLD means your liver is 5% or greater at. 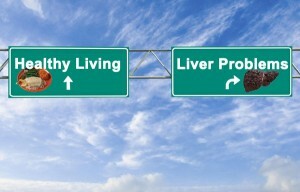 Ideally a healthy liver should be less than 5% fat. You may want to have a look at out free ebook for information on this subject. Just early of June 2014, I experienced a severe stomach pain. I was not able to handle it, therefore I was confined in the hospital. My lab test showed that I have a fatty liver, but according to my attending physician its just slight. But until now I am still suffering a stomach pain. What should I do? You might be having food allergies or intolerance like me. After I eat I have stomach pain. It hurts in the stomach and on the right side. Take notes on what you eat that makes you ill.
Food intolerances are actually pretty common. It’s good advice to investigate if you feel this may be an issue for you. Although very beneficial, exercise without a reduction of fat in the body is unlikely to cure an NAFLD condition. Just exercising will not automatically cause fat loss. It’s not hard to “out-eat” an exercise regimen, unless you’re literally Ironman training or in some other form of training, and even then it’s not impossible to overeat as compared to your expenditure.